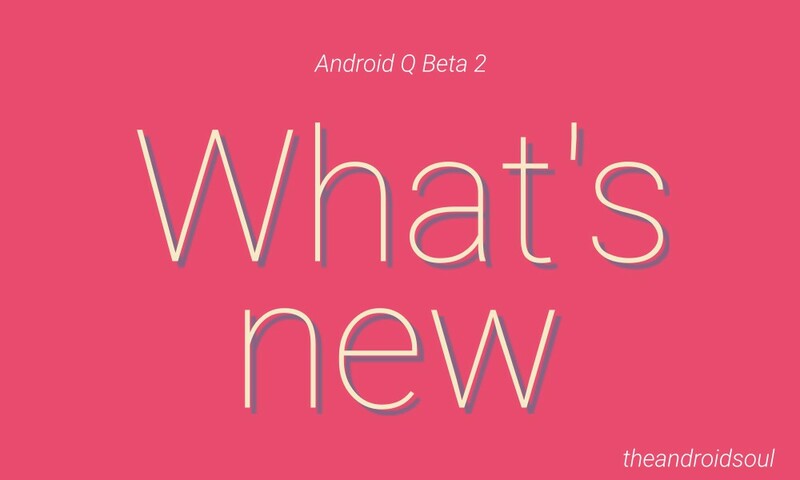 The Android Q Beta 2 is out! Google released the first beta for this version of Android on March 13 and, only 20 days later, we’re looking at the second beta. This was a surprising move by Google as they usually wait for the Google I/O — takes place from May 5 to May 7 this year — to launch the next beta version. This year is different, with two previews of Android Q in developers’ hands a month before I/O. But hey, it’s only good! There aren’t too many changes since the first Beta of Android Q, but the few that have been made appear to be significant. Let’s get right into it and see what Android Q Beta 2 has to offer. We spoke about the Bubbles feature in a previous article, but we have a little more dope to offer on the subject. These Bubbles resemble the Facebook Messenger chat heads of 2013. 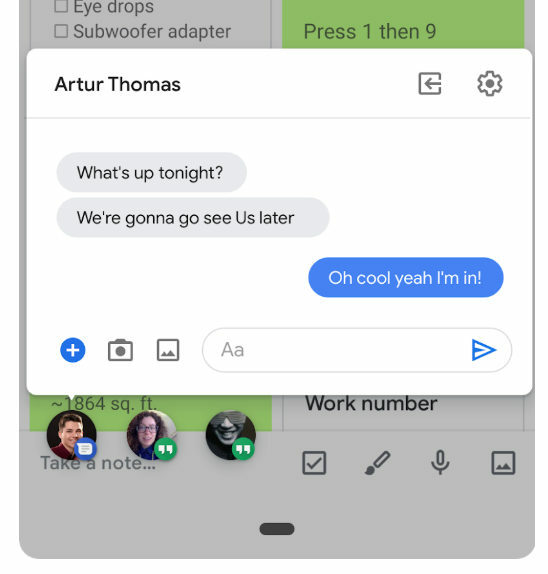 While Facebook eventually gave up on them, it looks like google wants to give it a shot as a proper Android Q feature. These bubbles follow you around as you move across apps on your phone. It lets you keep a track of your conversation across various messaging apps. We noticed that the reply text box gets hidden behind the keyboard. Not a good sign, but, it’s just a Beta. The feature looks handy, but still has some glitches that need to be sorted out. We’re sure by the Google releases the stable version October, it will be lovely to use Bubbles. There has been a major change in this feature since the first Beta. Volume controls now appear as an overlay to the right of the screen. It also features an extra menu right below the main volume bar. Yes! We no longer have to go into settings to adjust the volume of media, call and notification tones. In fact, this menu takes you straight into advanced sound settings without having us scrolling through the exhaustive settings menu. A win for Google. Sharing screenshots on the Android Q Beta 2 has become a little bit faster. The menu looks a little different too. You get a small preview at the top of the sharing menu of what you’re about to share followed by an array of social media apps you could use. The menu definitely looks better than what it used to be. There’s still some hope. The first Beta of Android Q gave us screenshots with rounded edges and black cutouts for notches. Google apparently did so to emulate the screen in the image. Fortunately, they did away with that monstrosity in this version. Now, the screenshots have clean rectangular edges without the notches. Hallelujah! Just what a screenshot is supposed to look like. The little pill at the bottom of the screen lets us navigate a little differently now. We first saw this navigation when Android P rolled out. The first Beta of Android Q only let us switch between two recent apps. In Android Q beta 2, though, the new version of the pill now lets us swipe to apps we have open in chronological order. It reminds us of the iOS gesture control. It isn’t without its flaws but it works and is a feature that assists convenient gesture control. If the Notification dismiss action was bugging you in the Android P, things change a little with this version of the Android Q Beta. You can configure which direction to swipe to dismiss a notification and consequently a swipe in the opposite direction will show you the menu for further actions. A useful feature if you’d like to customize your phone to your personal habits. You can find the feature in the Settings menu for Notifications. If you have music playing on your phone and you want to rewind it just a little, but you dread the fact that you’ll have to unlock your phone, find the app and move the seek bar? Well, Android Q Beta 2 thought of you and added the seek bar to the notification of the app. Now you can just move the seek bar to get to where you want in your music, podcast or whatever, without having to go into the app. Yes, this was definitely required. So the first Beta had this feature too. When your screen is locked and you’re playing music, the display will show you the time and the name of the song currently playing. The Android Q Beta 2, however, also shrinks the clock so you can see the name of the song more prominently. This may be a problem for some people but it looks pretty good to us. A good idea for those who tend to explore new music. The Android Q Beta 1 delivered a lot of theme options for developers. From accent colors to icon shapes, you name it. However, Beta 2 has gone one step further to provide icon customization options for icons in the settings app as well. More freedom to play around with themes is always a good idea. The Beta 2 now actively supports the Dual Sim feature on the Pixel 3. You can now enable DSDS (Dual Sim, Dual Standby) mode on it. This feature essentially allows your phone to connect to two separate networks at once. It will display signal bars for both networks in the notification tray. You will have to choose which SIM to use for data. You can also clock in your preference for a specific connection for your calling and texting requirements. The Android Q Beta 2 now suggests you connect to a Wi-Fi signal when you open the settings app. Right on top of the app, there is a toggle switch that will allow you to connect or disconnect to Wi-Fi. Once you switch it on, it’ll give you three of the best connections in the area to choose from. This is a neat addition to the facelift that the Settings app got in Android Q Beta 1. 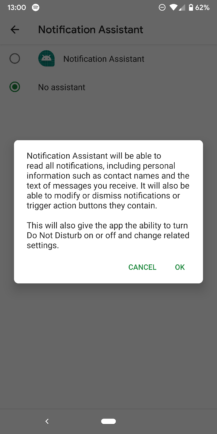 The Android Q Beta 2 comes with a very interesting new feature, the Notifications Assistant. It claims to read your notifications, including personal information, and has the power to modify and dismiss these notifications. It does sound a little creepy. You can, however, choose a notifications assistant of your liking if you’re not too happy with the default option. There aren’t too many of those that exist currently, but we’re sure developers are taking a cue. Finally, there’s a lot of awesome oozing out of the Android Q Beta 2. While there are four more versions of the Beta lined up through the year, this one seems to be going in the right direction. So, what are your thoughts on the Android Q beta 2 features and changes?